At Countryside Ski & Climb we are all about offering gear that leads its field. 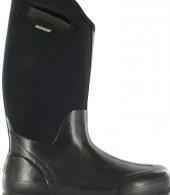 We are proud to stock BOGS in the UK as they really are the ultimate in comfort and fit for wellington boots. Wave happily goodbye to cold feet, wrestling matches to take them on or off and discomfort after walking any distance. With BOGS say hello to easy pull on handles, a properly lasted clog so they fit well enough to walk decent distances and superb lining technology that offers stretch, excellent insulation and wicking capability in one. The most comfortable wellies for the worst conditions.